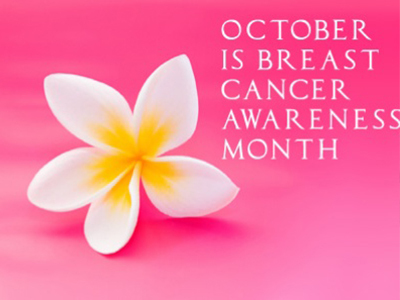 The Aesthetic Rejuvenation Center is proud to do our part by helping our clients who are breast cancer survivors and by funding early detection and treatment. For the month of October, our micro-pigmentation specialist will be providing her services free of charge for breast cancer survivors in need of Areola Reconstruction services. Anyone interested, please email Vjera at Nathalie@avartemicropigmentation.com to apply. Limited appointments are available and medical clearance is required. In addition, the Aesthetic Rejuvenation Center will be making a donation to the Susan G. Komen Foundation of 5% of the cost of every skincare service booked in October. Breast cancer is the most common cancer among women in the U.S., besides skin cancer. About 1 in 8 U.S. women, approximately 12%, will develop invasive breast cancer over the course of her lifetime which is why early prevention is so important. But breast cancer isn’t just a women’s issue; approximately 2600 men are diagnosed every year. Early detection and treatment is important for you guys too! Millions of people are surviving the disease due to early detection, as well as on-going improvements in treatments. The American Cancer Society recommends that women 40 years and older have a cancer-related check-up annually. Men should be self-checking regularly for lumps, especially if you have risk factors such as obesity, age 65+, or a family history. CLICK HERE for a full list of resources and mammography centers in New Jersey. Previous Post FALL INTO BEAUTY with Dr. Freund’s October Cosmetic Specials! Next Post NovaThreads – Facelift in Minutes! No Downtime!